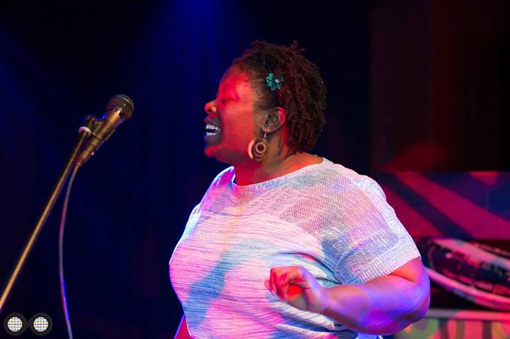 Denise Chapman is a performer who finds the universal truths that connects all human beings and shares the stories that are often overlooked or hidden in plain sight. As a theatre educator, she creates safe spaces for students of all ages to explore self-expression, creativity and step outside themselves into the unknown. An active member of the North Omaha community, she works with organizations such as the North Omaha summer arts (NOSA) and the FLIYE arts party. Chapman earned her BA in theatre from Creighton University and an MFA in theatre from the Theatre Conservatory at the Chicago College of Performing Arts at Roosevelt University. She has performed with Qwest Educational Programs (now B.O.O.M) touring elementary and middle schools in the greater Chicago land area and worked as a solo performing artist. The performer worked the Blue Barn’s Witching Hour in Omaha for three years as a director/ensemble member and is currently director of education and outreach at the Omaha Community Playhouse and an adjunct professor at Metro Community College.